Arrow Brush Pack - Abstract Arrows - Free Photoshop Brushes at Brusheezy! Use this new Arrow Brush pack to create your designs and make your point with style! Included in this arrow brush pack are tons of arrow brush files pointing in different directions, each with a different look. Check the Eezy Premium License to use this arrow brush pack either personally or commercially! Rather have the arrow vectors? 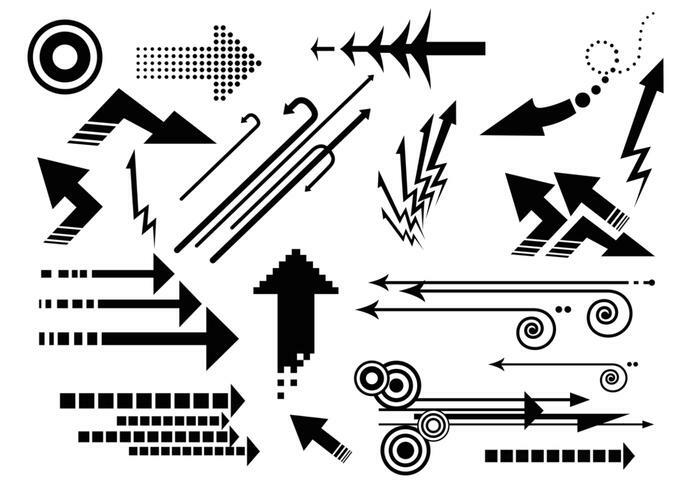 Just head over to Vecteezy and download the <a href="http://www.vecteezy.com/Signs-Symbols/41876-Arrow-Vector-Pack---Abstract-Arrows-/premium">Abstract Arrows Vector Pack</a>! These look great! Thank You.